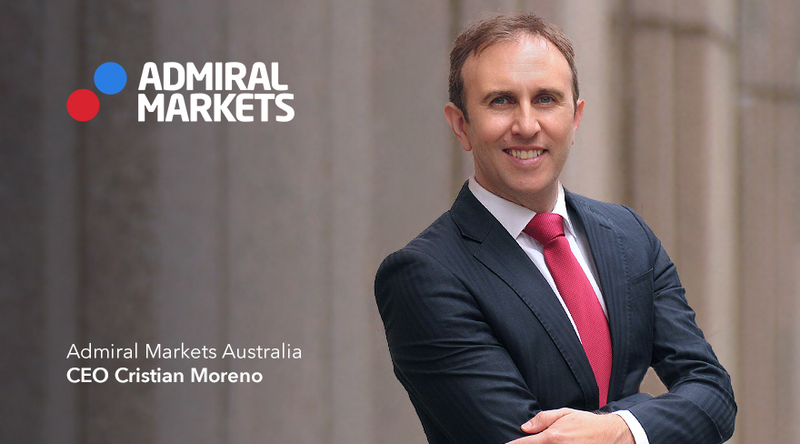 Admiral Markets is pleased to announce that Cristian Moreno, an industry professional with significant prior exposure to Forex and CFD trading has accepted the post of Chief Executive Officer for Admiral Markets Australia. The qualified engineer and prior Education Director for CSC Traders says he is delighted with the move. "Admiral Markets Australia is an outstanding Forex trading brokerage, with a solid gold reputation and operating in a robust and highly regulated environment. It's exciting to know that Admiral Markets has expanded over the last 15 years to 25 countries and is known for its innovative, high technology, optimal trading solution - I'm proud to be a part of it," says Mr Moreno. Cristian first started working in the Australian defence and then telecommunications industries. Five years later, the financial sector's lure proved irresistible. The young engineer solidified his Forex retail career from 2001 forward, with key roles in major global brokerages like GFT and YoutradeFX. But Cristian says that Forex was "in the blood" long before. "My trading life really began during my university days with options on Australian equities, then Forex currencies and later CFD's when they were introduced to the Australian retail space in 2004. When I first saw Admiral Markets in the mix, I was intrigued by the company's dedication to state-of-the-art software and quality assurance, because I figured this approach offered the best, most transparent trading experience. Turns out I was right." The proud father of two also points out that his decision to join Admiral Markets clearly reflects his passion for trading education. "Admiral Markets vision is to provide the best quality, service and experience to customers wherever they choose to trade from. One of the ways the company achieves this is through the Education Academy - a truly unique program consisting of live classes, market analysis and custom trading strategies. My last two years directing education were rewarding on many levels and I'm confident that my role with Admiral Markets will add to this feeling," he concludes. Cristian's role with Admiral Markets Australia took effect on 18th January 2016.